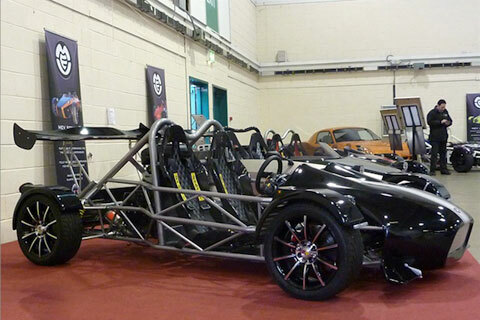 Since the day we presented our first MEV vehicle at a kit car show, we have received continual requests for an exocar that uses the almighty Suzuki Hayabusa powerplant. The 1300cc ‘Busa exploded onto the streets in 1999 and was famous for cracking a horizon warping 200mph, which due to an exceptionally aerodynamic shape, provided enough ram air to feed the monster 1300cc in-line four to produce a headline grabbing 185hp. It was nearly banned, but thankfully saved by a gentleman’s agreement amongst manufacturers to restrict bikes to a mere 186mph. 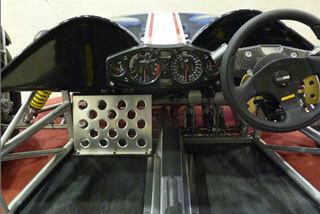 Once a few ‘Busas had bitten the dust, the engines were quickly transplanted into a plethora of kit cars and specials. 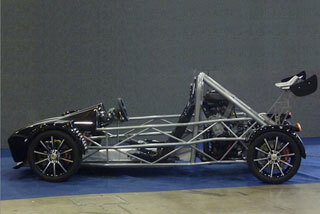 It soon became obvious that the Hayabusa motor was very versatile and well suited for powering lightweight sports cars. Designer Stuart Mills created the MEVABUSA by combining everything learned from his experience producing two successful bike-engined vehicles, the highly focused single seat MEV Atomic and two-seat reverse tR1ke. 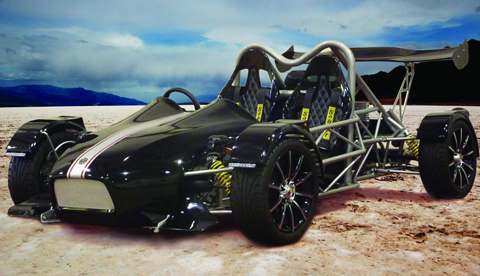 Through intense design, testing and customer feedback, the MEVABUSA is set to be the ultimate lightweight, 4-wheel exoskeletal chassis. 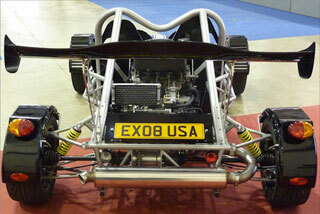 The new exocar debuted at the Stoneleigh Kit Car Show in May 2012 to much excitement. 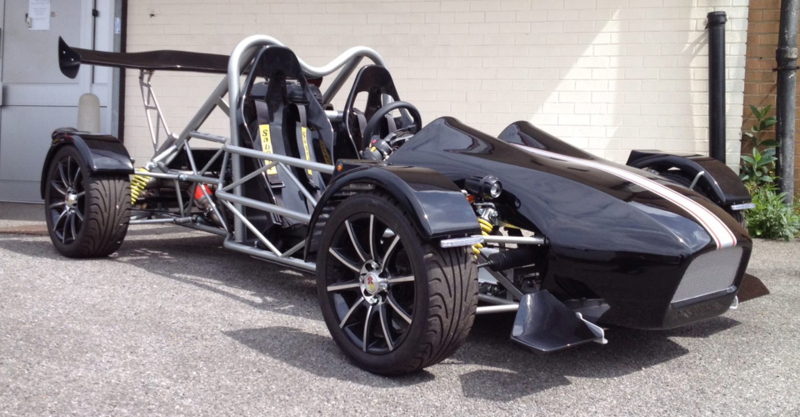 This four-wheeled monster of a machine is powered by the legendary GSX1300R engine and at only 840 pounds is ballistically fast with a power-to-weight ration superior to most supercars. All the fun of a supercar at a fraction of the price. Supercars too slow and you’d rather go after hypercars? Consider forced induction options available in the Suzuki aftermarket to increase the power output of the Hayabusa motor. With the Quaife limited slip chain differential helping you get that power to the ground, there will be few cars in the world that can match it’s performance. Steering rack complete with rod ends. Current lead time is approximately 12+ weeks. Built to order by RTR in Nottingham. Additional Shipping, insurance, import duties and fees can range from $800-$2000 depending on your location. We make every effort to minimize these costs.